The first area is the “Kids Court” where children have full reign. 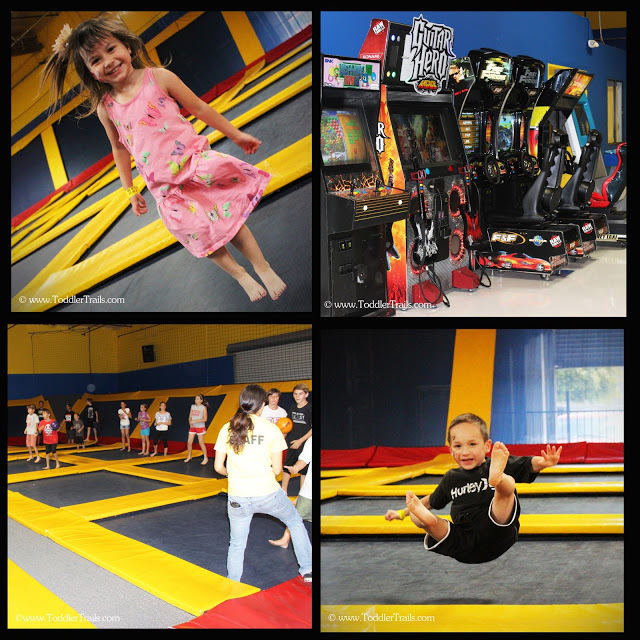 Trampoline walls and floor, kids can bounce to their hearts content. The next section is the “Foam Pit”, which consists of four trampoline lanes that you need to take turns bouncing through, ending in a large foam block pit you can leap/flip into. Let me tell you, it is really fun, but work to get out of! In the back, there is a “Dodge Ball” court. Specifically for “kids at heart”, the dodge ball is definitely a place to take out a little frustration. And finally, “Main Court” is just a HUGE play area. Completely open trampoline, open to all. Kids can turn it into a giant track line mine did and run from corner to corner in a wild race. Munchkin Mondays: occurs every Monday from 11am – 1pm and is dedicated to children ages six and under to participate for $6 each. Parents are also free to jump at the $6 rate. *During munchkin mondays, be aware, there are older kids and adults in some of the other play areas. Check their calendar for an updated schedule. Special Needs Afternoons: the first Tuesday of every month, they turn off the music and dial down the distractions for the comfort of extra special jumpers. From 3pm until 6pm, children and young adults with special needs and their siblings, family and friends are invited to enjoy an afternoon of bouncy fun. Each “jumper” is $5 with a parent or therapist free. Birthday Parties: Shy High is a great place to birthday parties. The space above is reserved for parties and celebrations. It is fully enclosed to make your party “private” and has tables, chairs, couches and your own private trampoline. More information can be found HERE. 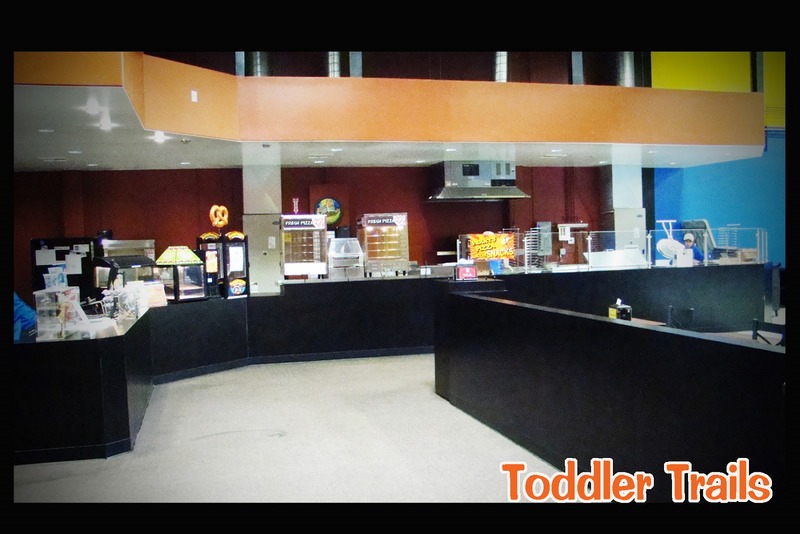 Snack Bar: Their snack bar is quite large. They offer a variety of snacks from hot dogs, pizza, nachos and popcorn as well as candy and other snacks and drinks. If you get the chance, I’d highly recommend Sky High Sports. The kids burn off some energy and mom burns off some calories!GIVEAWAY!! two sets of 4 Hour Passes and three sets of 2 hour passes! Thanks to Sky High Sports for inviting us out to experience all the fun during Spring Break! We will be back soon.